Wonkette - Anti-Gonzales Hero Marine Arrested On Hill! Wonkette - Beloved Anti-Gonzales Marine Reveals All! So I haven't updated this blog in ages, but now that it's public again, I'll use it to promote the new show on the new website! Check it out! This blog is no longer active! 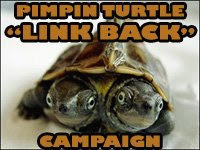 From now on, I will be blogging at the site for my Congressional Exploratory Committee at kokeshforcongress.com. Please check it out, sign up to receive our weekly newsletters, and if you really want to get involved, check out the FTW-112 Communicator. I am writing this to give my endorsement to Adam Kokesh as he attempts to gather enough support in an attempt to run for a congressional representative in the state of New Mexico. It is past time that WE THE PEOPLE had someone in congress who is as concerned with doing the work of the American people as those currently “serving the people” are in accepting kickbacks and taking bribes from large corporations. 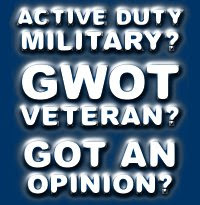 It is time that WE THE PEOPLE started looking at the people who want to serve in government with a more critical eye. It is time to start being more involved in the running of our country and I believe that by Supporting Adam Kokesh we will be supporting someone who fully believes in the true authority of the United States as not being in the hands of the few, but is in the hands of the people. I would ask that you take a look at what Adam Kokesh has to say about constitutional authority and his approach to how government should work in our democratic republic. I have heard some of his positions on constitutional authority as belonging to the people and this is the mindset we need in Washington and throughout our state and local governments as well. So, if you believe the current system we have is broken and needs to be fixed, get involved, get informed, and become the true solution to the problems we face. I believe that by Supporting Adam Kokesh and others of like mind, we will be moving our country in the direction it needs to move; back to government of the people, by the people, and for the people. Support Adam as he attempts to bring the voice of the people and the laws of the land back to Washington. Please share this, repost it, put it on your facebook status, etc. We're not starting the r3VOLution without you, but you don't want to get left behind! We can't do this without you . . .
More Coverage From the New Mexican . . .
intervention and her disregard for the Second Amendment." I would say I was misquoted, since I'm sure what I said was far more eloquent than that, but the points conveyed were exactly what I intended, and I got the last word in the story! More Support From Our Very Talented Movement! Someone just sent me the link to this video today and it was very exciting to see that our movement is really starting to gear up for 2010 and put its creative talents behind our viable candidates. I am honored to be counted among them. While supporters are gearing up for a July 4th money bomb, we're gearing up for a huge Independence Day weekend here in Santa Fe. We'll have more details about that with the launch of the full site on June 1st. I also just saw the first draft of a video to promote the money bomb that should be coming out on Monday with the launch of the new site at kokeshforcongress.com from Clay Trainor. If you thought his previous videos were good, this one is going to knock your socks all the way to next November. Rand Paul's supporters are also gearing up for a "mini money bomb" for June 1st. I just donated and you should too! While having folks like myself, RJ Harris, or BJ Lawson standing behind Ron Paul in the House would be a giant leap forward for liberty, imagine our movement occupying a Senat seat! It's also looking more likely that Schiff will be entering the race to take Dodd's Senate seat in Connecticut. 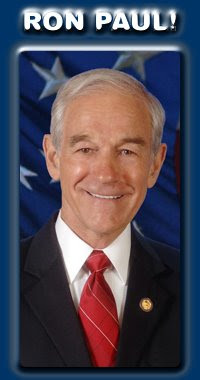 With Ron Paul considering backing a "10 in 2010" slate, this is looking to be a good time to be fighting for freedom! Adam Kokesh has been a tremendous supporter - of both me AND you! As a leader of Iraq Veterans Against the War, Adam has spent years traveling the country to spread our message of peace, a strong national defense and limited government. Adam has tremendous credibility because of his service in the United States Marine Corps and I have deep respect for his commitment to principle. And now, Adam Kokesh needs our support. 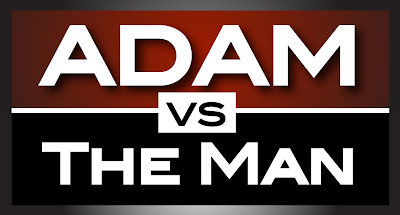 Adam has formed an exploratory committee to run for Congress in his home state of New Mexico. Sending Adam Kokesh to Congress would be a tremendous victory for the Freedom Movement, and if we come together and stand behind him, he has a real chance to win. This race will be difficult, but I know Adam has the energy and drive to be successful and pour every ounce of himself into this effort. I urge you to go to www.KokeshforCongress.com and support him in anyway you feel comfortable. Whether it is making a financial contribution, volunteering or getting more information share with your friends and family, Adam needs your support now so he can start down this long journey with momentum and a strong wind at his back. We have a chance to help a real patriot and lover of liberty join me in Washington. Again, I hope you will help me support Adam Kokesh for Congress. "A revolution is coming - a revolution which will be peaceful if we are wise enough; compassionate if we care enough; successful if we are fortunate enough - but a revolution which is coming whether we will it or not. 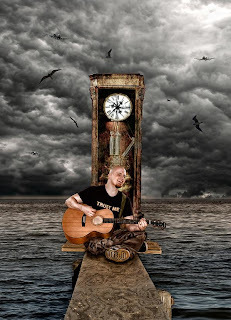 We can affect its character; we cannot alter its inevitability." My fellow Americans, the time has come. Undoubtedly we stand at the edge of a great abyss, with our most cherished liberties in jeopardy. We live in a time when the people of once free nations have no voice, and live in fear of repression by dark forces aligning against them. We live in a time when laws that dissolve the security and sovereignty of our country are passed without public debate and those who swear public oaths to defend it blatantly attack our Constitution. We live in an era when ruthless men atop mountains of wealth control all mainstream information outlets, thus creating false reality and proving that money is stronger than truth. Our unaccountable elected and selected officials in Washington DC have squandered our inheritance, and given themselves immunity. They have allowed and perpetuated unsound monetary, legislative, and foreign military policies, which have led us down the path to untold human suffering. We have survived the eight long years of smug arrogance and hypocrisy that defined the Bush presidency and changed the face of the world forever, only to be swept up by the fervor of the idea of change personified by one man, whom I believe to be under the thumb and shield of the upper echelons of high finance. I remain, thoroughly unimpressed. I anxiously wait for a true voice of the people to emerge from out of the mire that is our Congress and bring sanity and humanity to our nation’s capital. Please join me in your support for my friend, Adam Kokesh, a true American Patriot, in his quest for a seat in the United States Congress. The issues that we as a nation face have evolved beyond party affiliation, and political terminologies. We are no longer red and blue states. We are all Americans who believe in the idea of freedom and we must put forth our best efforts to protect it. 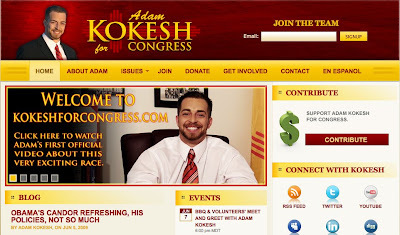 Please visit www.kokeshforcongress.com, sign up and donate to Adam’s campaign. There will be a money bomb event on Independence Day, July 4th 2009, so please show your support, pledge $10 at thisjuly4th.com and help spread the message. I know Adam personally and am thrilled that someone is running for public office who genuinely believes in and fights for the ideals upon which this country was founded. Adam Kokesh is a former Marine and outspoken voice for Iraq Veterans Against the War. I support his mission to bring passion and dedication to the table. We must have people of this caliber battling our domestic enemies in government and finance on the battlefield of the high political arena. This is a most desperate hour, and we are in need of experienced patriots to prevent our ruin.